Gold Coast SUNS Academy product, Jesse Joyce, will make his AFL debut against the Sydney Swans on Saturday night at Metricon Stadium. Selected with pick No. 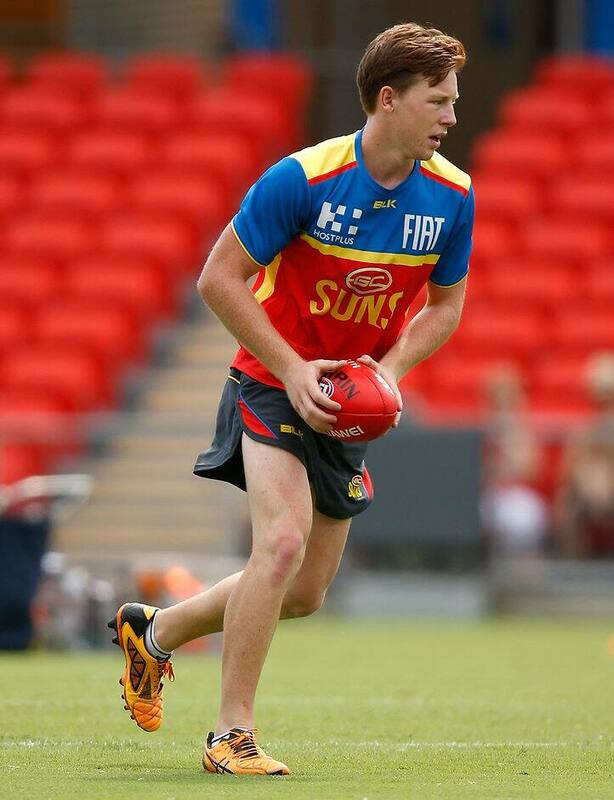 67 in last year’s AFL Rookie Draft, Joyce had been a part of the SUNS Academy since the age of 14 and split his time last year between the Queensland Under 18 representative side, the SUNS’ NEAFL team and his local QAFL club, the Palm Beach Currumbin Lions. Joyce was elevated from the rookie list last week and becomes the 37th player to wear the red and gold in 2016. “It’s a great story. Local lad, Palm Beach Currumbin boy, played in the Queensland state side last year under 18s,” coach Rodney Eade told goldcoastfc.com.au. “Really with our injuries last year got a chance to keep playing in the seconds once the under 18s had finished and he improved every week. So we put him on as a Category B rookie, as much for the local product, but he’s really come along in leaps and bounds. “His attack on the ball was really solid, he’s got good skills, he’s quite a smart player as well and you can’t have too many of those, having guys who can read the game pretty well and know our structures. Joyce follows in the footsteps of fellow Gold Coasters Rory Thompson, Joel Wilkinson and Andrew Boston to represent his home city.